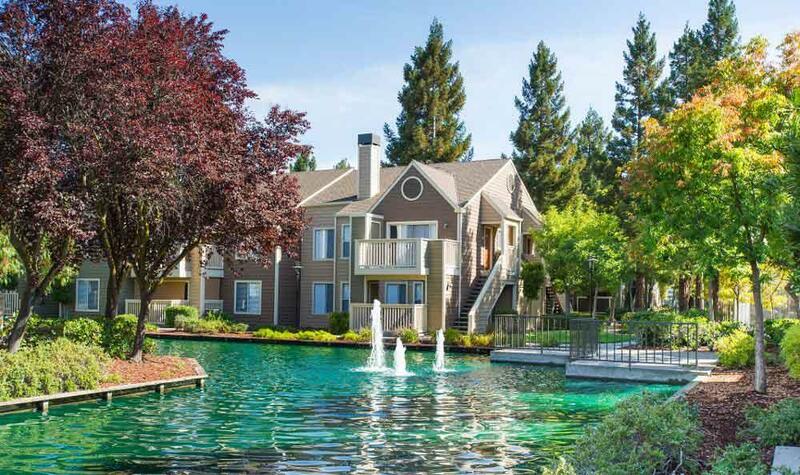 Set in desirable San Ramon, California, let Bridges at San Ramon serve as your new home in the Bay Area. Our beautiful one and two bedroom apartments are situated alongside two gorgeous reflecting pools, boasting stunning turquoise water and serene, resort-inspired fountains. You’ll feel like you’re living in your own personal park! Plus, with a shimmering outdoor swimming pool and a relaxing spa, the serene living experience you desire is waiting for you at Bridges at San Ramon. In addition to our long list of community features, our homes boast spacious floor plans and convenient amenities to streamline your busy life. With a timesaving washer and dryer in each unit and a designated garage, you never have to worry about laundry or parking. Let us show you how rewarding apartment life can be. At our one and two bedroom apartments for rent near California High School, you’ll find inspiration at every turn. 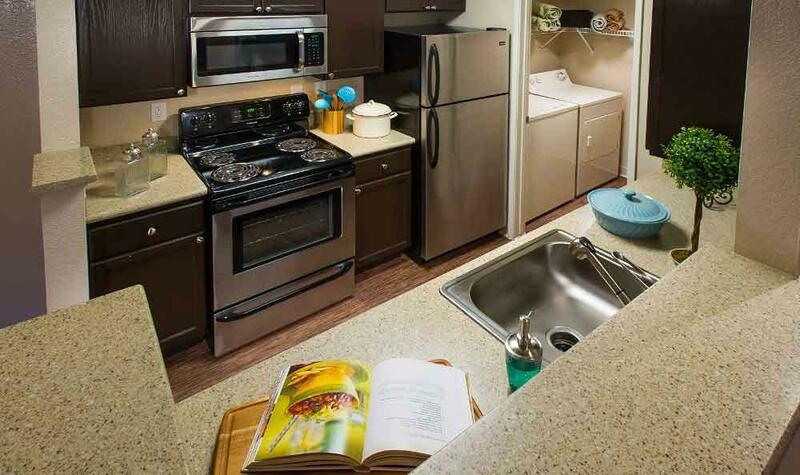 In addition to our well-equipped kitchens and full-sized appliances, select units feature a fireplace so you can curl up with a favorite book on a cool night. Plus, with a private balcony or patio, you can take in the lush, well-maintained grounds over a cup of fresh-squeezed orange juice or a glass of your favorite wine. 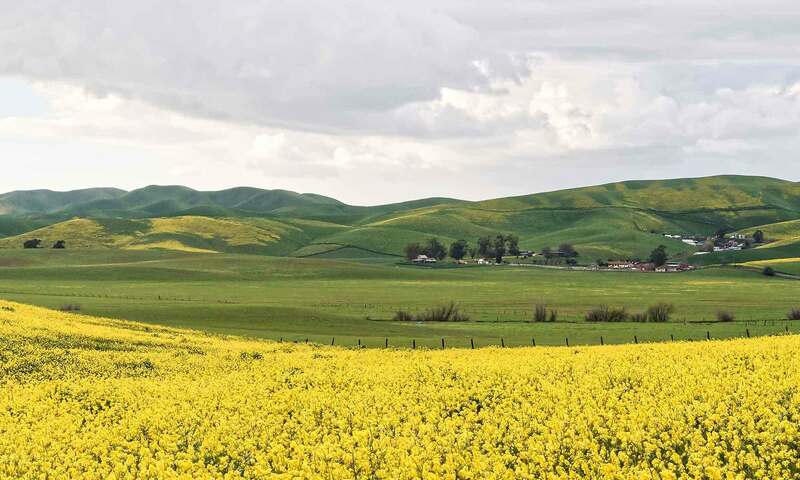 Scenic San Ramon is known for its excellent schools, picturesque vistas, and suburban lifestyle. We are located just 25 miles from the San Francisco Bay, making us the perfect location for homebodies and commuters alike. Situated right next door to The Marketplace Shopping Center, Bridges at San Ramon offers easy access to some of the most delicious restaurants and charming shops in the neighborhood. 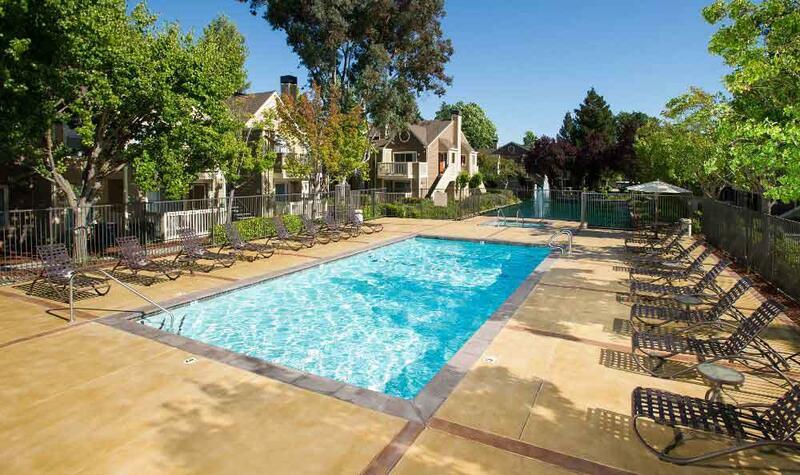 Stake out your new life at Bridges at San Ramon. Are you ready to discover your new home? 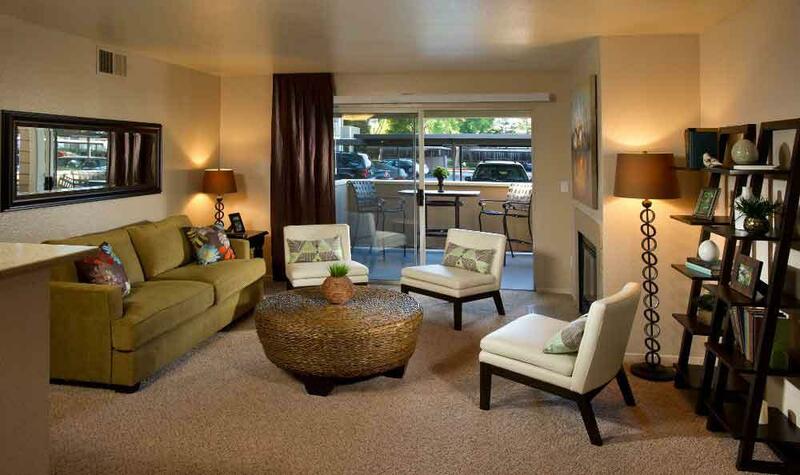 Contact our professional management team to tour our one and two bedroom San Ramon apartments today.